Walking in Christ Missionary Baptist Church recently purchased their first building after 10 years of faithfully trusting and following God. “God has blessed us always and even when the process seemed slow, we have trusted God,” said pastor Larry Robbins. Ten years ago, Robbins was called out of an interim pastorate at another church to start Walking in Christ church. For the first six months the church of about seven met in his home. Then they grew a bit larger and moved into a school. They shared the school space with a couple of other churches and when things became tight and rent became too high, they moved to a warehouse. But they struggled with parking there because other nearby churches shared the parking. 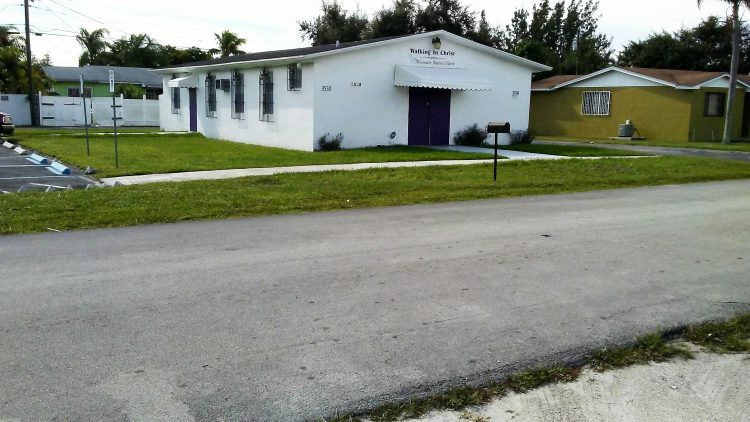 Then, just over two years ago, they started renting meeting space at a small church building in Miami Gardens. 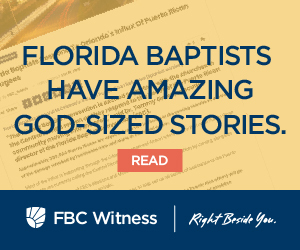 “All along we remained faithful in our giving to the Miami Baptist Association,” said Robbins. At times the church found that given finance struggles it would be better to not tithe. However, Robbins encouraged them to continue by reminding them all the ways in which the Lord continues to bless them. Robbins is retired after working 32 years with the Drug Enforcement Administration. In 1986 he became a Christian and in 1996 was ordained as pastor. His focus as pastor has been to lead people to love each other and love God. The church of 55 people, ranging in ages from 20 to 75, have held health fairs and Thanksgiving feasts to meet the community needs and build relationships. “We try to reach out into the community and follow up with them,” said Robbins. His wife Seaner, he says, has been a great help all along. Today she works with the youth and children as well as helping lead other ministries. “We are working to get the children and young people back in our church,” said Robbins. The church they were renting from recently decided to sell and Walking in Christ was able to secure a loan to purchase the property. “We got three parcels of land for the price of one! It was an offer we couldn’t pass up.” They are currently working on fencing the property and adapting space to hold Sunday school classes and outside worship services. “All along we have learned to trust God,” he finished.